MexConnect.com Forums: Specific Focus: Mexican Kitchen: A Good Ham Soup Bean in Mexico? A Good Ham Soup Bean in Mexico? For those of you who may remember sitting down to a hearty bowl of good hamhock and bean soup, I am hoping that you can lead me to a good bean here in Mexico that has the same consistncy and taste of the beans I remember well, on a cold winter afternoon with a steaming bowl of Ham and bean soup with a chunk of fresh warm french bread. Since beans of all varieties grow with some flavor of the earth they are grown in, I am wondering if any one knows of a good bean for a ham soup. Re: [robt65] A Good Ham Soup Bean in Mexico? 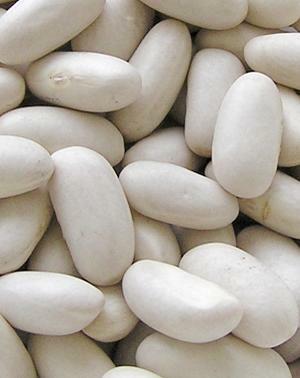 I like alubias blancas grandes, which have a distant resemblance to dried lima beans, only taste better. Alubias blancas chicas more resemble Navy beans. I prefer the grandes. You should be able to find these on any good sized supermarket shelf, such as Aurrerá or Wal Mart. Re: [Anonimo] A Good Ham Soup Bean in Mexico? You always come through in a pinch! (smiling) I sure hope you and your bride had a good Christmas and that you will have a very Happy and Prosperous New Year. I just shipped the wife, mother-in-law, and our two daughters out from Queretaro to Valles via Autobus, with a connection in San Luis Potosi. They are off to a family wedding and a visit with a fistful of family from all over Mexico. Father-in-law and I are "baching" it for about the next two weeks! Some peace and quiet, and time to get the closets in the new house finished. (smiling) All we are waiting for now is for the iron gates to be finished to keep the dogs inside the property and we can finally move over into the new place. I sure am looking forward to that. I have this large whole ham hock that we had for Christmas & I intentionally left a good amount of meat on it, to make some good thick ham and bean soup. Maybe a side of Cabbage and sweet potatoes with a few good bolillo’s will make for a few good hearty suppers or lunches! That ham, I don't remember the name right now, was a real good Mexican ham, that cooked up great on the BBQ. I bought it at Sam's Club. Do those beans come dried? . . . . . and do I soak them overnight or just dump them in the pot? They look and sound real good for the soup. Robert, the beans are dried: first you pick them over, looking for any seriously damage beans and especially for rocks and twigs. I have to say that the alubias we've bought at Wal-Mart or Bodega Aurrerá have been pretty clean. Next, you rinse them in several changes of water. Third, cover with 3 times the amount of water as beans and let soak overnight. Add an onion (James Beard like to stick a couple of whole cloves into the onion. It's optional.) and a couple of bay leaves ("laurel") and maybe a smashed clove of garlic. Bring the water and beans to a boil and turn the heat down to a simmer. At this point you could put in the ham bones. The thing is to cook them slowly so that they don't disintegrate. When the beans become tender, add a little salt. Cook them a bit and taste. Go easy on the salt as the ham has salt. Pepper, either white or black is a good addition. Are you going to have cornbread with this meal? I am ok with cooking the soup, it is the Mexican bean product I am not familiar with. I chop my onion up in medium size pieces and add celery, chopped stewed tomatoes are added as well as a couple of smashed cloves of garlic. Like you, I cook the beans to about 50% done and then I put in the ham bone with bite size pieces of the meat and two bay leaves. I don't use salt either, as there is plenty of salt in the ham and bone. I use a bit of fresh ground black pepper and simmer. I also use a fair amount of cloves, allspice and Smuckers Orange Marmalade when I first cook the ham. The remnants of these flavors add a nice zest to the soup. I usually like to use Lima beans, Navy beans or Northern White beans in my ham soup, but haven't found any here. I am looking forward to trying these Alubias Blanca chicas in this ham soup. Robert, baking soda also has the effect of speeding up the tenderizing of the beans, if a good pinch is put into the soaking water.